Do you go on auto-pilot with over-used yoga teaching cues? 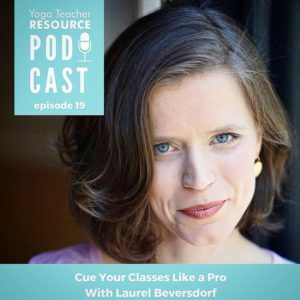 I got super nerdy with Mado Hesselink on her Yoga Teacher Resource Podcast all about 4 categories of cues. A few have extensively researched in studies surrounding motor learning. The takeaway? It’s great to be fluent in all 4 ways of cuing to keep things interesting and to reach more students. Also, know why you’re cuing how you’re cuing and who you might be benefiting. We also talk about how cuing from a heavily anatomical or metaphorical perspective can alienate students and when using specialized language, like anything, it’s in how you present it. Ultimately, this podcast is about my obsession with language and how learning it and using it toward deliberate ends has the capacity to open up new perspectives, new realms of understanding, new discoveries of self for both you, the teacher, and your students. What we say matters.